The ex-Alpari DMCC employees will form One Financial Markets’ new account management team in Dubai. One Financial Markets has expanded its reach in the Middle East, with the appointment of five former senior management team members from Alpari DMCC, new premises in Dubai and a new office in Abu Dhabi. The ex-Alpari DMCC employees will form One Financial Markets’ new account management team in Dubai, bringing over 40 years’ experience in the financial sector. 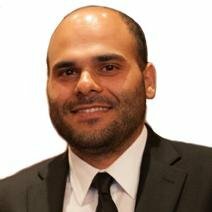 Hassan Al Aggad, former Head of Sales at Alpari Middle East, has been appointed as UAE Regional Manager. He will head up One Financial Markets’ Dubai-based institutional team, which has moved offices to new premises in Al Reef Tower to accommodate the team expansion. New team members are Mohammad Salah (BDM), Anas Qarish (Senior BDM), Chokri Houimli (BDM) and Adel Aljibrin (BDM).